Experience an entertainingly delicious Teppanyaki buffet with Japanese-fusion inspired dishes nestled above the ocean in Taling Ngam Bay. 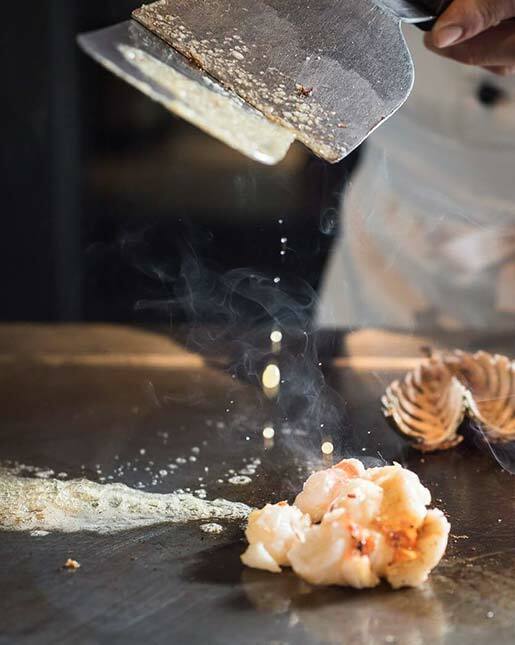 Watch our chef in action as you sample Japanese fusion flavours with fresh seafood, vegetables and imported meats on our specially made Teppanyaki grill. It’s a fun, family-friendly dining experience on the island with sweeping views of the Gulf of Thailand.